This one's for all the pizza lovers out there. 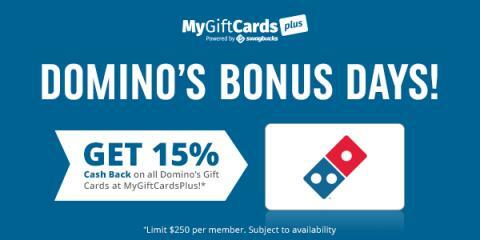 MyGiftCardsPlus is offering their highest Cash Back amount on Domino's Gift Cards yet: 15% Cash Back! MyGiftCardsPlus allows you to buy gift cards to over 100 of your favorite merchants, and receive valuable points called SB with every gift card you purchase. 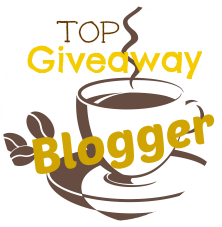 You can then redeem your points at their partner site Swagbucks.com for FREE gift cards and even PayPal Cash! Click here to get started and quickly create a Swagbucks account. Afterwards, you’ll be prompted to go to MyGiftCardsPlus where you can buy your Domino's Gift Card. Once you make a purchase, you’ll link your accounts and your SB points will be available on Swagbucks. In the future, whenever you buy Gift Cards from MyGiftCardsPlus, you’ll earn more SB points for more free gift cards! This is a limited time offer so act fast!